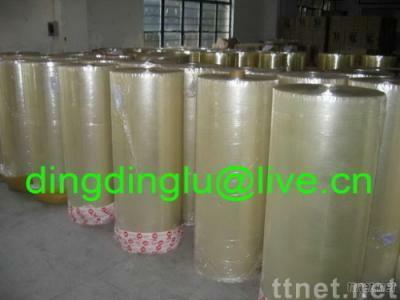 Specifications: 1)	Application: slit into packing tapes 2)	Colors: transparent, tan, brown, red etc. 3)	Length is 4000meters 4)	Thickness from 35micro to 65micro. 5)	The width of the roll is: 980mm,1020mm,1040mm,1280mm,1600mm etc.